Long, designer, homecoming dresses for the modern girl at an affordable price! JVN by Jovani is a fabulous collection of elegant, floor length gowns from the fashion powerhouse, Jovani Fashions. Homecoming 2017 is a once in a lifetime experience, so look your best! Shop the selection of JVN by Jovani gowns at Henri's Cloud Nine, where you can buy Jovani dresses online! 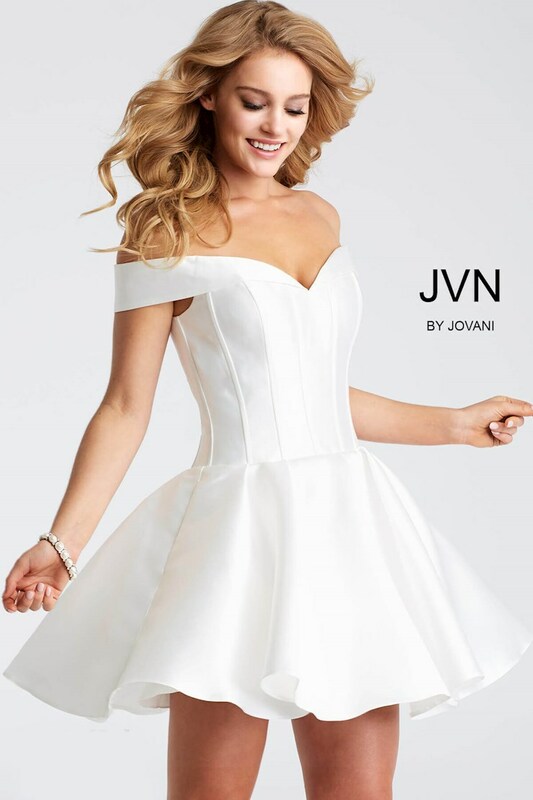 When you need a glamorous look for any occasion, or you're searching for inexpensive homecoming dresses, you've got to check out JVN by Jovani at Henri's!